Check out Tobi's Trinity Open Back Top Takin' you back to the 90s in the Trinity Black Open Back Top. 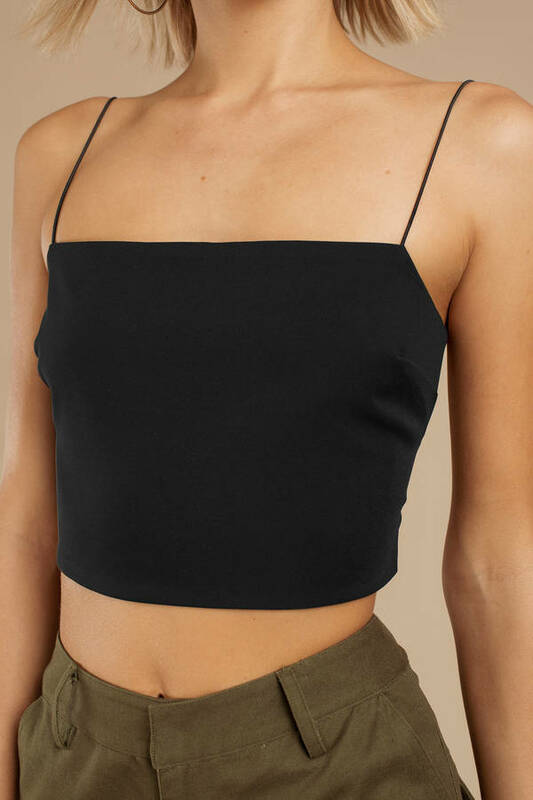 This party crop top features a square neckline, spaghetti straps, and a back zipper for easy wear. Perfect for going for daytime drinks to happy hour. 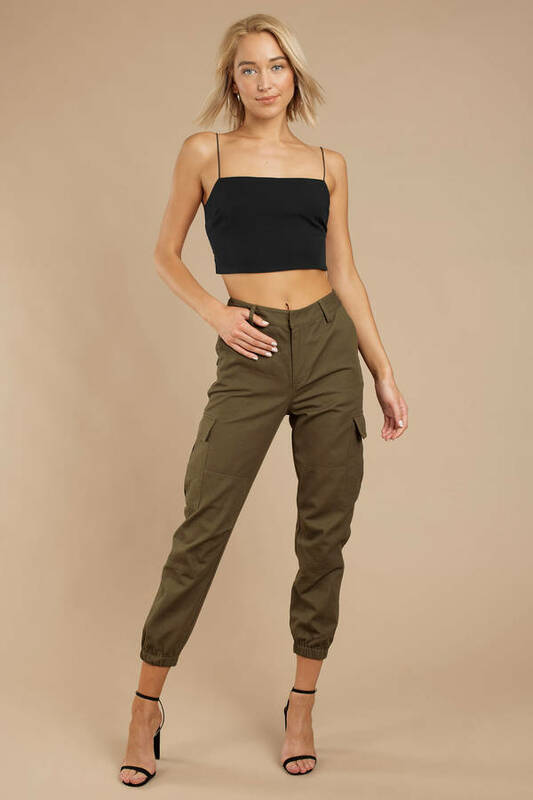 pair this square neck crop top with a high waisted skirt or culottes.